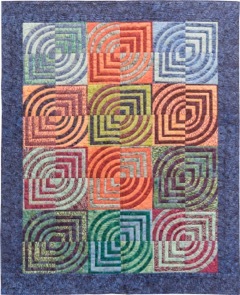 Two packages of 10” squares are used to make the quilt blocks. 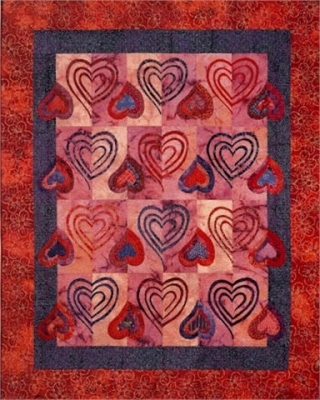 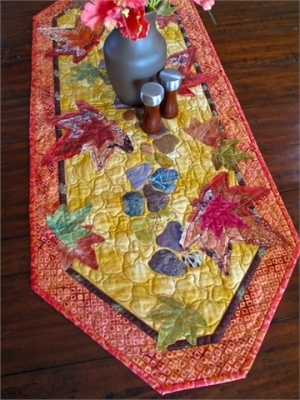 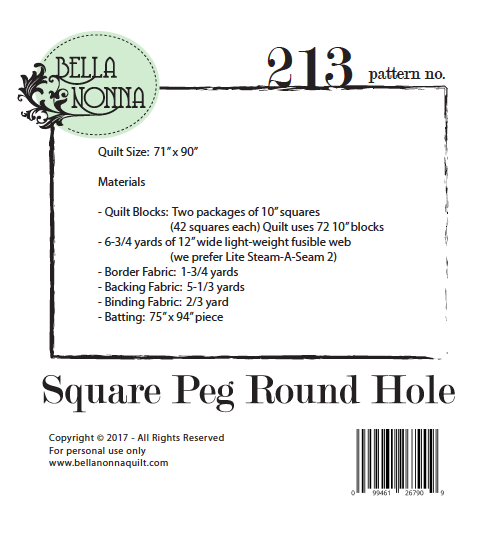 The “Square Pegs & Round Holes” are fused and topstitched onto the background squares. 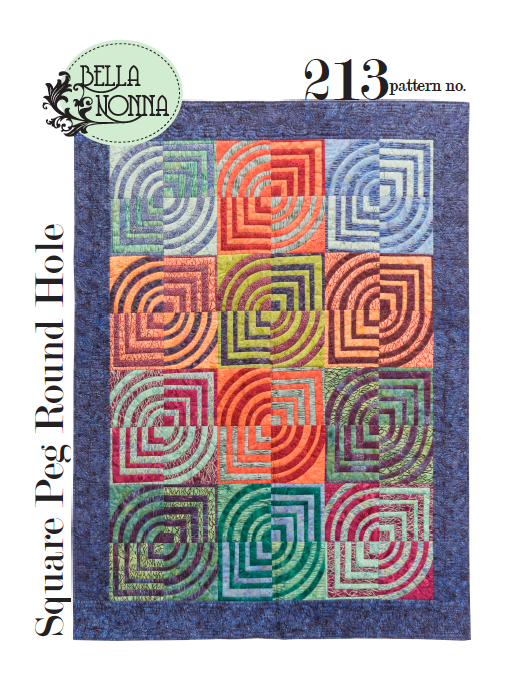 Fun project for color play! 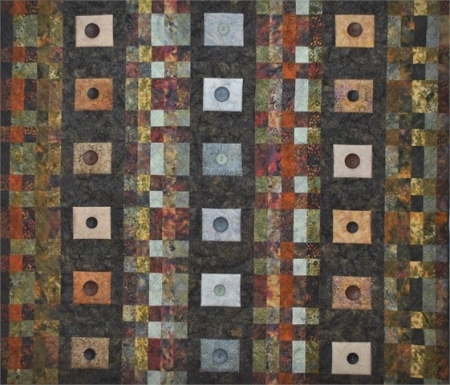 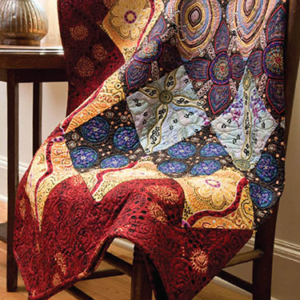 *Fabrics are made in our City Culture 2 Fabric Collection (40 richly colored batiks) now available through Island Batik.